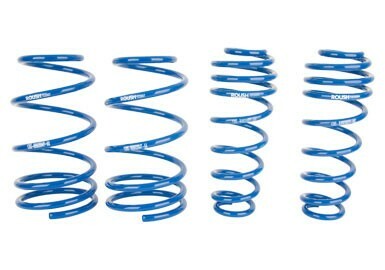 This Mustang Lowering Spring Kit (Extreme) works on 2005-2014 models. 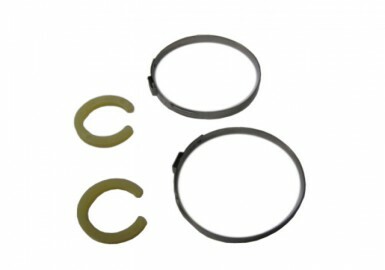 This particular spring kit lowers your vehicle 1" in the front and 1.25" in the rear. 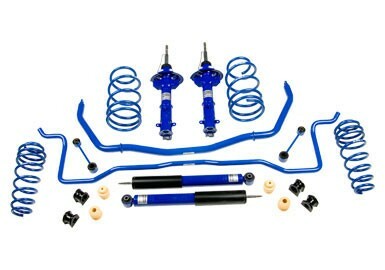 In addition to the Mustang lowering springs, this kits includes a set of rear jounce bumpers. 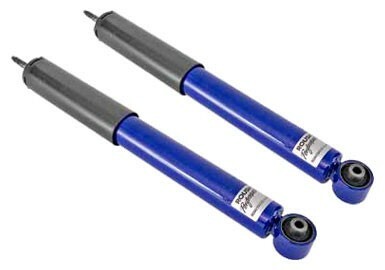 It's recommended that this suspension package be used with the stock Mustang and struts. 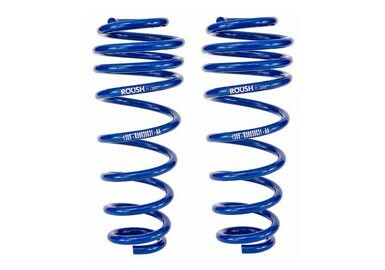 It's recommended that this Mustang lowering kit be used with ROUSH wheels. This and every ROUSH suspension part is extensively engineered and tested by ROUSH's own performance engineers to provide optimum performance for your vehicle. ROUSH suspension parts are developed over many hours on the race track, slalom, lane change, skid pad, and on a wide variety of different road surfaces to provide the best combination of ride and handling. One tool that the ROUSH engineers use in this development is the DIVAS Data Acquisition System, the same system used by Ford engineers for collecting and analyzing vehicle dynamics. Rather than simply providing the best quality suspension parts available, ROUSH takes its development a step further by finely tuning its suspension offerings to the specific application as part of a whole system. 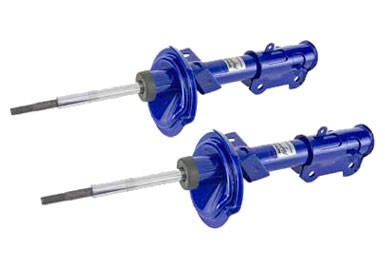 The benefit of this approach is that ROUSH suspension parts work seamlessly with the other dynamic aspects of your car. Since being established in 1976 as Jack Roush Performance Engineering, ROUSH has become the winningest name in racing, with numerous championships in professional drag racing, road racing, and NASCAR. The ROUSH company is also recognized internationally as a premier provider of automotive product development and systems integration solutions, with more than 2,000 employees in facilities across the globe. The company's success remains deeply rooted in the core values that are unique to ROUSH: reliance upon the talent of the individual, a disciplined work ethic, scrupulous attention to detail, and an acutely intense desire to be the best. As a result, every ROUSH product shares in this rich tradition of racing performance and the highest level of OEM quality and design.